What are Online Photo Editors? We recently reviewed PicMonkey, which is an online photo editor and collage maker. This is a follow up of that article. This time we are reviewing Fotor, yet another photo editor and collage maker. Online photo editors have been gaining ground in the last few months. 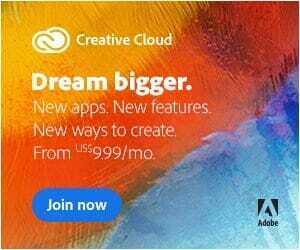 Especially as Adobe, which is by far the biggest photo editing software maker, moved to a subscription based model a while back. While professionals don’t have any qualms subscribing for a small amount every month which they can readily pass on to their clients; it is the amateurs, beginners and casual shooters who feel the pinch. Online photo editors and collage makers are perfect for not only amateur shooters, but as we saw in the previous discussion, these online photo editing applications can be used for school projects as well. Plus, they are perfect for making a host of home projects such as invitations, personal cards so on and so forth. Needless, to say these online photo editors and collage makers are versatile. The biggest plus for these applications is that they have a considerably smaller learning curve. 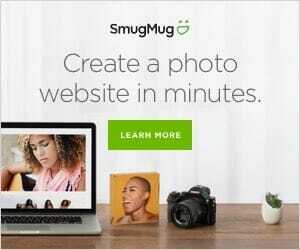 When compared to Photoshop and even Lightroom, which a lot photographers prefer to use, these online editors are simple, intuitive and easy to use. Okay, ‘nuf said. Let’s dig right in and find out more about Fotor. 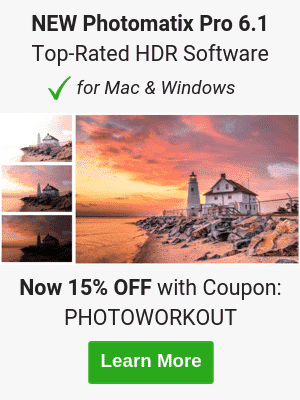 Fotor is both an online photo editor and collage maker as well as a proper desktop application for photo editing with RAW conversion support. There are, multiple versions of Fotor. You could opt for one of the online versions, or choose to download a copy of the desktop version and install on your computer for offline photo editing. The choice will depend however, on how much functionality you need. For RAW conversion support the desktop version is perfect. Whereas, for light JPEG editing tasks it is best to work with the online version. But in any case you will need to upgrade to the Pro version because without it much of the applications’ usability will remain locked. Opening up Fotor for the first time you will be presented with three options to choose from – these are ‘Edit’, which is obviously for image editing and retouching, ‘Collage’ – which is for making collages from your favorite images, and finally ‘Design’ which is everything to do with making small designs for personal or school projects. Obviously with Collage and Design you can do a lot more in terms of designing and project work. This the option we photographers need the most. Editing is everything to do with opening up your images in Fotor and doing some editing and retouching work. To open an image in Fotor click on ‘Edit’ from the home page, the editor opens up. If you are using Fotor for the first time, an ‘Add Photo First’ dialogue will show up at the top. Click on it select the Source from among Computer, Fotor Cloud, Dropbox and Facebook and follow the process to upload. Just as in PicMonkey there is no option to upload a RAW image or convert one after uploading. I am referring to the online version that is. The offline / desktop version has RAW conversion support. So, if you are looking for an alternative for Photoshop or Lightroom in terms of RAW conversion capabilities then you need the desktop version of Fotor and not the online version. Specifically, you need the Fotor Pro version. The monthly subscription for Fotor Pro is much less than what you would have to pay for the Adobe Photographer’s suite which includes both Lightroom and Photoshop. No doubt some of our readers would argue that Photoshop is way more powerful than Fotor. That is true and that is precisely the winning argument too if this was a comparison of features. You pay for features that you will hardly ever use and additionally this application has a bigger learning curve. So why pay more for features that you will never use and more cumbersome to learn? To conclude, if you are looking for a light JPEG editor which takes care of simple editing tasks as well as help you finalize your photos then the online version of Fotor is definitely for you. The left panel of the application is where all the tools are. These include the ‘Crop’ tool, the ‘Magic Clipper’ tool, the ‘Rotate’ tool and the all-important ‘Fine-tune’ as well as the ‘Basic’ tool. The ‘Basic’ tool is where the basic adjustment options are. These would include the option to change Brightness, Contrast, Saturation and of course Sharpness. As I am working my way in this image, I don’t want to change too much of the brightness as the image is just about right straight from the camera in terms of exposure and how much I want it to reveal the essential elements. I don’t want to reveal too much of the background and that is the reason why I leave the brightness just about where it is. On second thoughts maybe I’ll tweak it down to a small negative number. I pull down the saturation though. Take it down all the way. This is after all going to be a black and white image. Keeping in sync with what I did with PicMonkey and the way the image was originally edited in Lightroom. This is of course the JPEG image. One more setting that I would change is the sharpness. Sharpness denotes how prominent the details are going to be. The original JPEG image has some sharpness applied to it by the camera. I slightly tweak it and apply some sharpness in Fotor. Please note, it is easy to go overboard with the sharpness thing. Thus, it is imperative that you keep things down to a minimum. A little goes a long way. Fine-tune is where the other important tools such as Exposure, Highlights and Shadows are located. I adjust each of them very little here. This is because I pretty much got it the way I wanted in camera and there is no need to enhance the exposure or anything. I will, though, work the highlights slider a little. Bring it down just a little so that the bright highlights on the old lady’s face is pulled down a bit. The color image does show her face to be sun-burned because of the high altitude and exposure to extreme levels of UV. So, reducing the highlights also tend to match the tone of the color image. Color includes Temperature and Tint. These would be useful for editing the white balance and the tint of the image, if they are off. In this case I leave them unchanged as I don’t need them. If you were to pull the sliders even after bringing down the Saturation all the way, it will impart some color cast. In any case Tint is a very ‘dangerous’ tool to fool around with. Recommend not to overdo it even when editing your color images. This is a cool feature that is available in Fotor. It helps to do a fast ‘enhancement’ of your images. Consider this as your quick processing mode. The results may not always be perfect. You may wish to or not to use this option. I feel it is a bit over the top. Then again this is a personal opinion. In any case here is a side by side comparison of the two images. On the left is the 1-Tap Enhancement and on the right is the ‘unprocessed’ JPEG. As you can see the 1-Tap enhancement does a weird color rendition. I don’t like it at all. You can always change things around and make some fine adjustments. But I would recommend taking it from the ground up and use the manual editing options. This is one tool which I rarely use. But then I suppose some users would find it interesting to add a bit of vignetting to their images. Resize is an option that allows you to change the dimensions of an image. You can crop and change the file size by entering specific numbers. Alternatively, you can enter a percentage to alter the image size. Below the Basic Panel there is the Effect panel. Effect hides in a plethora of options. These are basically a number of ready-made touches which you can apply at the click of a button and give a specific effect to an image. Let’s say that you need a Classic Toy look or a Smudge look or even a Warm Winter look. You can select from among more than a hundred different effects that are preloaded into the application. There are even a bunch of black and white tools which you can try out. Looking deeper down you would also be able to find some more interesting effects including Tilt-shift, Lens Flare and Pixelate. Many of these, however, are save-able only when you sign up for a premium account. Just like PicMonkey Fotor also has a comprehensive beauty / enhancement tool includes. This tool includes a series of options under it. These are Blemish Fix, Smoothing skin), Wrinkle Remover, Blush and so on. You also have dedicated tools for the eyes and the mouth. Frames are basically what the name suggests. They allow you to place a nice frame of your choice around the image. there are more than a hundred choices to select from. The top panel is a mix of essential image management tools. We have already seen what the Open option does. The Undo button is self-explanatory. It basically, undo the last change you did. Redo does the opposite. Original is a bit dicey. It is not the same as hitting the ‘/’ button on your keyboard. Hitting the ‘Original’ button will rest all the changes that you have done thus far. Of course you can quickly hit the ‘Undo’ button to nullify that. Snapshot allows you to save a snapshot of the image that you have been editing. You need to be signed in to use Snapshot and the other features that are bundled under Snapshot. While editing simply click on Snapshot and the image is saved to the Fotor cloud. The Fotor Cloud is a repository of your image files. Once you are signed in you can access your images from anywhere you want. Clicking on Cloud lets you see your images directly under the Fotor Cloud. Another advantage of Fotor Cloud is that you can access it for making a collage of your images. Of course the Collage option allows you to get a lot of other editing options as well like using texts, and other embellishments. The save option is for the final task of downloading the final edited image. You have the option to edit the file name and choose the image quality before finally hitting the ‘Download’ button. HDR or High Dynamic Range denotes a treatment using a photo editing application where two or more images of the exact same composition, but shot with different exposure settings are merged together. The idea is to use the ‘correct’ exposure for each of the main exposure zones – the highlights, the mid-tones and the shadows taken from the various exposures so that the final end product is a perfectly exposed image. There are built-in tools in Photoshop and Lightroom which allow you to do that. Of course you can manually do the same using these applications. Online photo editors don’t usually have this. But Fotor is an exception. The HDR option is located at the bottom of the list. Clicking it opens up a new tab / window. You are presented with a brief explanation of HDR (nice touch) and the option to upload the images. There, are however a maximum of only three images that you can upload. There are three predetermined choices as well. These include ‘structure’, ‘Soft’ and ‘Intense’. Choose whatever option goes best for the image type you have. Under these three choices there are several options to tweak the final image. You can change the intensity of the HDR effect. This is more like a ‘tap to adjust’ kind of a thing. Which is a nice touch because this will allow you to choose the option that you feel is most suitable and it wouldn’t need sliding the different options. Alternatively, if you love the manual option, you can tweak the brightness, contrast, saturation and sharpness of the image after applying the specific look to further refine the result. When you are happy, simply hit ‘Save’ to download a copy of the image on to your hard drive. Please note, you will have to sign in first in order to save / download the final image. Fotor’s mobile app is an extension of their online and desktop versions. Just like any other third party image editing application Fotor too gives you a lot of creative options. It has the basic editing options including brightness, contrast, saturation, sharpness, shadow and highlight. But the functionality that I enjoyed using is the Curves. Curves allows you to individually work with the R, G, B channels or work with all the three channels together. This allows me to tweak the highlights, the mid-tones and the shadows more easily. Pushing and pulling the exposure across the image becomes that much easier. Another thing that I enjoyed working with is the focus adjustment. This is basically, about changing the depth of field and using a selective focusing effect to your images. Works in wide angle shots of streets, or urban landscape and such other compositions but does not work in most other situations. The app options for editing images and building collages will come in handy for someone looking for an easy collage maker for school projects or for the odd printout for the album / wall. Fotor is definitely a very nice online photo editing application. Needless to say, the interface is very easy to use and the overall look and feel is great as well. While the Basic and Fine Tune options are your major editing areas, the major advantage that Fotor has over something like PicMonkey is the Effect Panel. The Effect panel comes with more than one hundred ready-made options. These render specific look and feel to your images, something that you won’t find on PicMonkey. For anyone looking for a filter-like effect something you would find on Lightroom, but in a less intimidating interface the Effect panel is a nice way to give your images a very specific look and feel. Next articleAmazon Prime Day Deals Now Live!